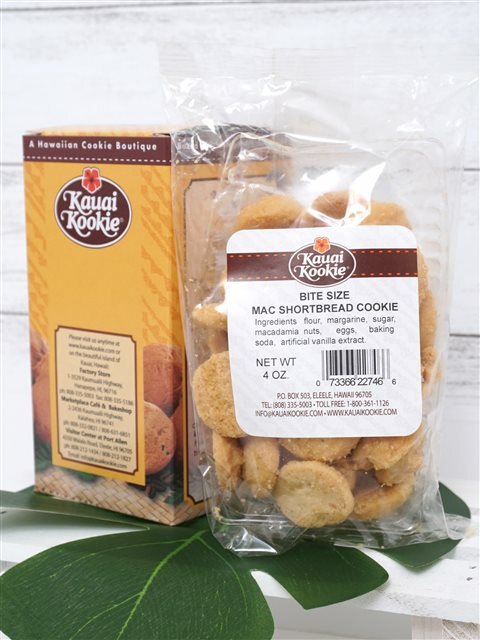 Our delicious combination of mouth-watering ingredients makes these Bite-Sized Macadamia Nut Shortbread cookies bursting with flavor! Sugar, eggs, and vanilla extract are combined to create our signature crispy cookies. One bite into our shortbread and it will instantly melt in your mouth! Fresh macadamia nuts are used for a traditional cookie with extraordinary taste. We introduced our Macadamia Nut Shortbread cookies nearly 50 years ago and they have become a fan favorite ever since.